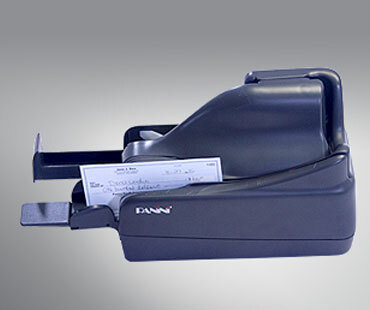 The newly released Vision 1 check scanner is Panini’s latest solution for single feed check capture, delivering the ergonomics, ease of use and reliability of the Vision X range. The Vision 1 scanner will made its debut and was available for demonstrations at CIAB FEBRABAN in Brazil. This new scanner for checks and bills is a single drop feed, high value version of Vision X for highly professional and user-friendly small-medium business Remote Deposit Capture or low volume Teller Image Capture applications.